Adele’s smash new single “Hello” has been certified platinum as it tops the UK charts for a third straight week. The Official Charts Company reports the song outsold the No. 2 track, Justin Bieber’s “Sorry”, by more than 34,000 copies to take top spot once again. The fastest-selling song of the year in the UK has just been certified platinum in the country for sales of more than 600,000 copies. 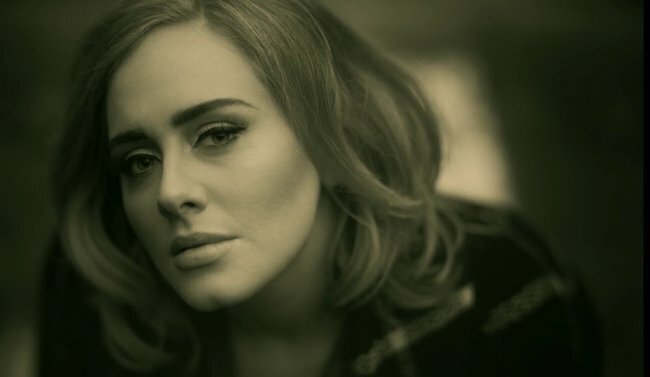 In its opening week, “Hello” became the UK’s one-week streaming record holder with 7.32 million streams. The smash hit is the lead single from Adele’s long-awaited third album, “25”, which was produced by Greg Kurstin and is due November 20. The UK singer’s last album, 2011’s “21”, was a worldwide smash with worldwide sales of more than 30 million copies.